We check over 450 stores daily and we last saw this product for $1,130 at Selfridges. With fans from film stars to royalty, British luxury jeweller Monica Vinader has been turning heads since its award winning debut in 2008. Express your enduring love with this Fiji skinny bar friendship chain bracelet. 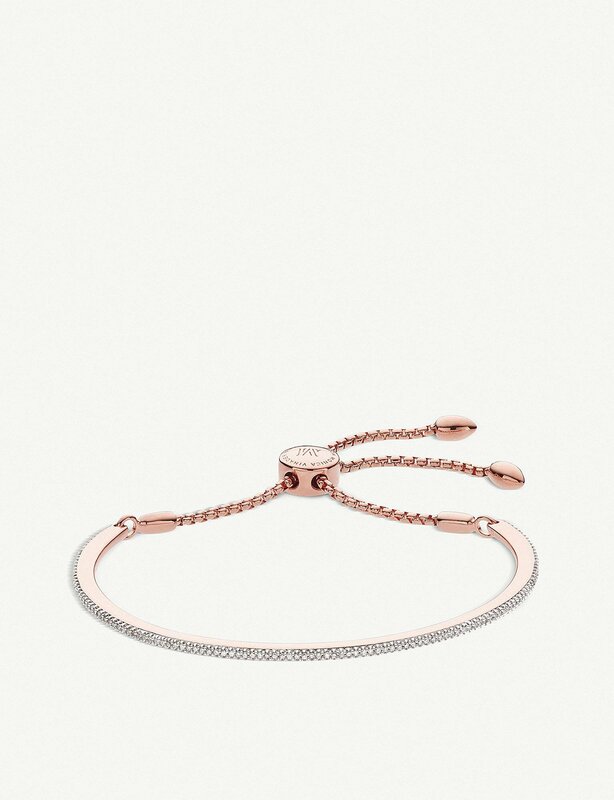 Made from 18 carat rose gold vermeil on sterling silver, it's studded with diamonds that gives weight to its otherwise slim, subtle appearance. 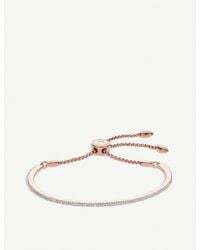 Monica Vinader rose gold vermeil and diamond braceletAdjustable toggle fasteningContains diamonds totalling 0.3375ctDiameter 58mm, width 1.8mm Each piece of Monica Vinader jewellery is guaranteed for two years.